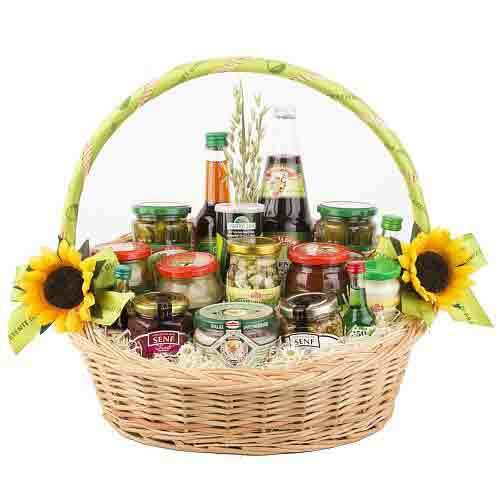 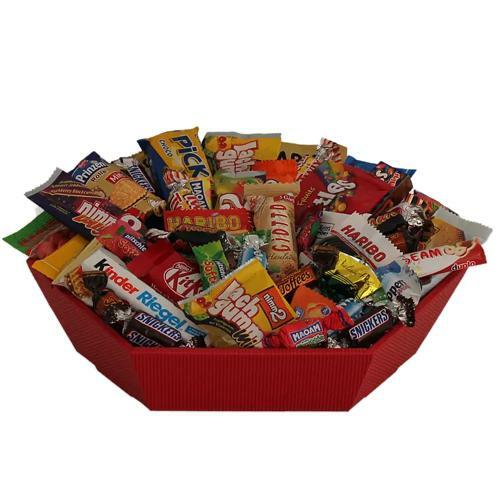 Description: Greet your dear ones with this Innovative Refreshing Boost Gift Basket and make them feel special, loved and lucky. 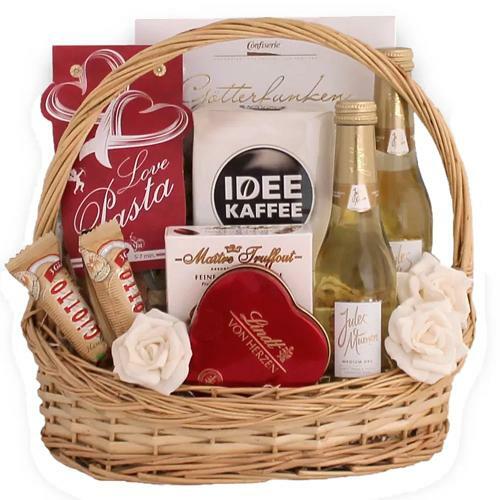 This elegant Hamper contains a wide selection of sweet and savory treats such as Love Pasta Noodles in Heart Shape in 3 Colors-250 g, Gotterfunken Truffle Pralines-200 g, 2 Jules Mumm Sparkling Medium Dry Wine 11% vol-0.2 cl., IDEE Coffee made from 100% Arabica Coffee-500 g, Maitre Truffout Fine Seafood-50 g, Lindt Pralines in Red Metal Box-30 g and 2 Giotto-12.9 g each. 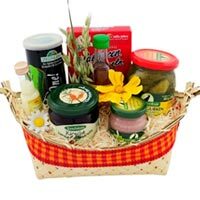 All these come elegantly coordinated in an Oval Wicker Basket with Handle decorated with White Roses. 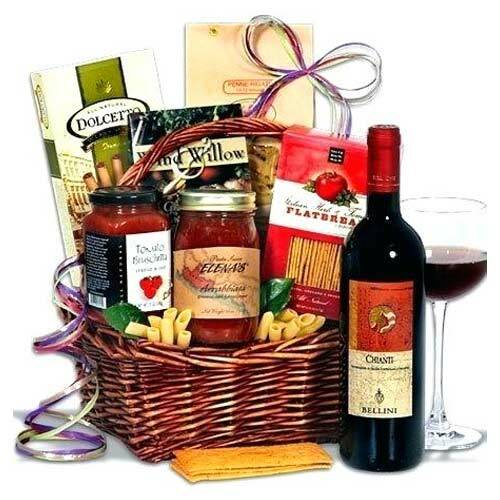 See tears of happiness in the eyes of your dear ones when you send them this Generous Better Coffee Celebration Gift Basket wrapped up in your love. 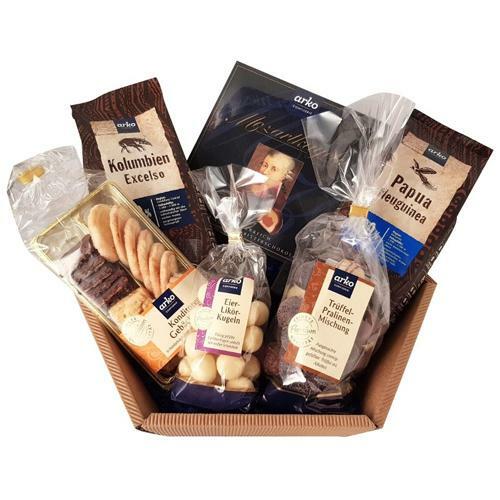 This Festive Gift comprises of Original Coffee Papua New Guinea, Original Coffee Colombia, Mozartkugeln, Confectioners Pastry Selection, Truffle Chocolates of 300 gram and Eierlikorkugeln.